Imagine having a vintage crew cab pickup with all the style and flair from a bygone era in design mixed with modern mechanicals and creature comforts, all capped with a outright obsessive level of detail crafted from the finest materials available. That’s exactly what we’re seeing here. 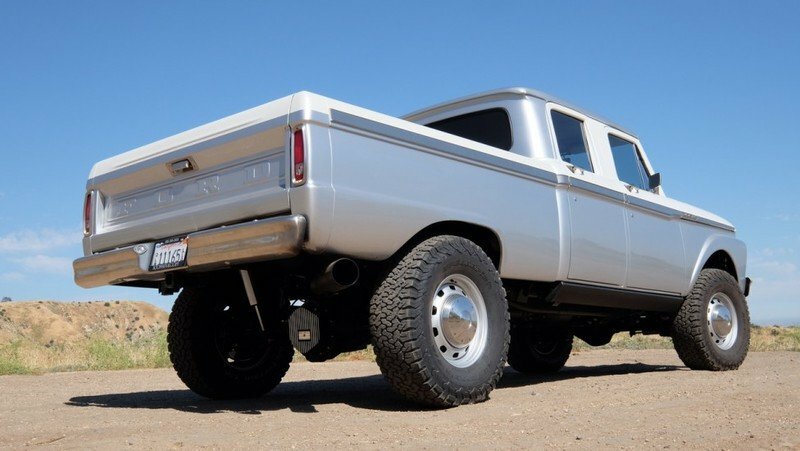 This 1965 Ford F-250 Six-Pack is the newest member of ICON’s Reformer series of builds. 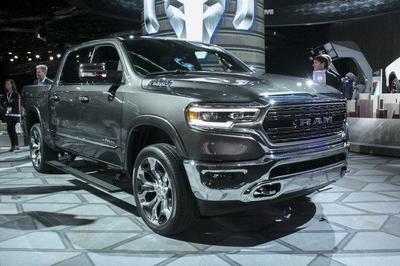 Its outward appearance looks properly vintage, but its body hides a 5.9-liter Cummins turbodiesel and Dodge 3500 underpinnings. ICON has made its quite a name for itself over the years building custom vehicles based on vintage iron. The scope ranges from the “Derelict” series that puts modern mechanicals under an almost untouched, original body with its beautiful patina still intact to high-end Bronco and FJ restorations that are far superior to their factory-fresh condition. The California-based independent company will field nearly any customer request, regardless of difficulty, so far as their bank account will allow. That is clearly on display with this 1965 Ford pickup. You’ll definitely want to see the details in our full review. 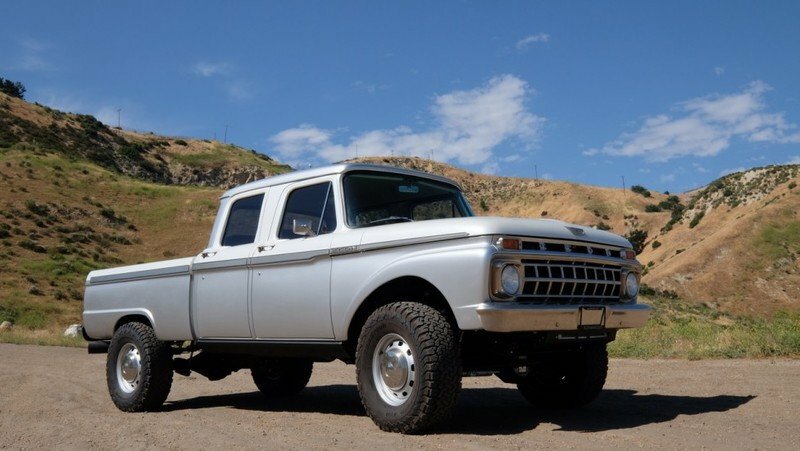 Ford built relatively few crew cab, or the so-called Six-Pack, models in those days. Before jumping to the details, it’s worth noting the extreme rarity of this pickup. 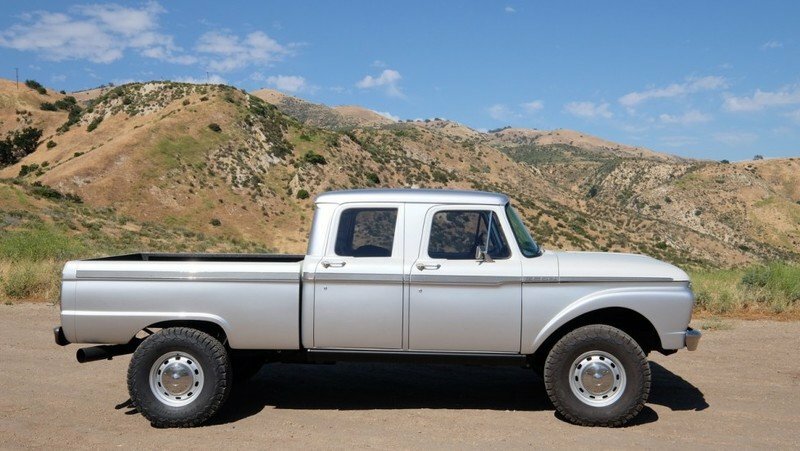 Ford built relatively few crew cab, or the so-called Six-Pack, models in those days. The trucks were basically a special-order item mostly contracted by the U.S. government, local municipalities, and corporations for arduous work that left even fewer in a salvageable condition. Most met their fate in the scrap yard. However, this survivor managed to escape with most of its body intact and in fairly good condition. The truck was purchased by ICON after months of searching. 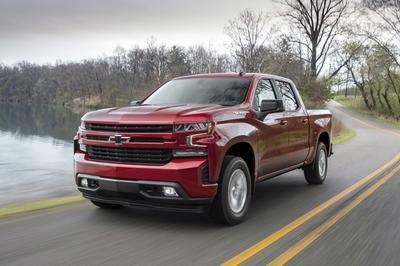 The project owner wanted a capable heavy-duty pickup with modern capability, but with the flare of classic model. To facilitate this request, ICON also purchased a 2006 Dodge Ram 3500 HD MegaCab pickup as the donor vehicle. The Dodge body was separated from the underpinnings and work began. ICON engineers and fabricators moved the factory body mounts on the fully boxed, steel frame to align with the Ford body. The inline-six Cummins Turbodiesel is longer than the Ford’s original engine bay, so the firewall was reshaped and the front fenders reimagined to accommodate the extra length. What’s more, the front fenders’ bodylines were enhanced to compensate for the extra length, making the swooped wheel well a bit more arched. Once the fitments were correct, both the frame and the body were restored to a better-than-new status. The Ford Six-Pack body has plenty of obvious details and Easter Eggs to find. ICON may have reworked the front fenders in length, but you’d have to be a diehard Ford fanboy to spot the change. But unlike the fenders, the Ford Six-Pack body has plenty of obvious details and Easter Eggs to find. Up front, the factory grille and bumper were reused after being refinished. The bumper is tucked a bit closer to the body than from the factory for a cleaner look. The F-O-R-D lettering across the grille is replaced with an I-C-O-N badge. The hood badge also sports the ICON logo. 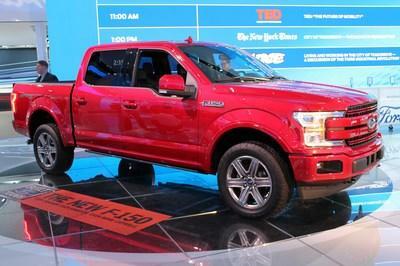 Long the sides is chrome trim milled to mimic that from a high-trimmed, half-ton Ford pickup from the same era. ICON took liberties recreating the trim, however, embellishing the piece with turned aluminum and an integrated ICON badge. The color choice is also interesting. The two-tone scheme uses white and a light sliver that are closely related in their chemical compositions. This makes both colors look very close, often looking like the same color in certain lights. 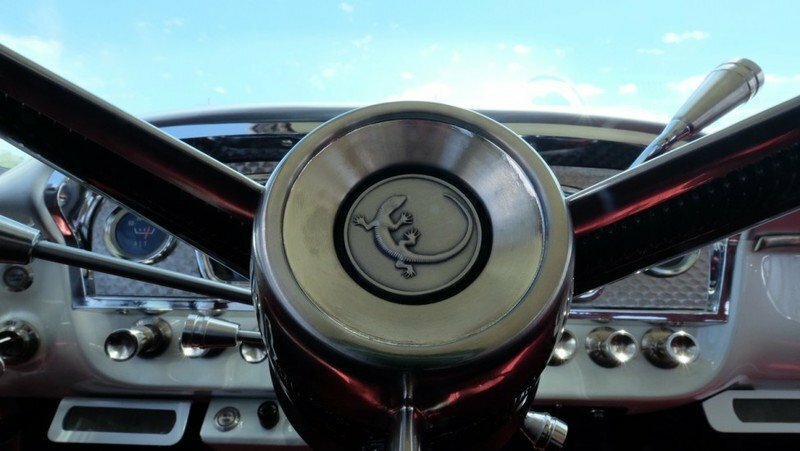 The original door handles and Ford-style steel wheels with the chrome dog-dish hubcap were used for continuity of the 1965 design. Modern BFGoodrich All-Terrain T/A KO2 tires are the only easily noticeable, non-factory part. 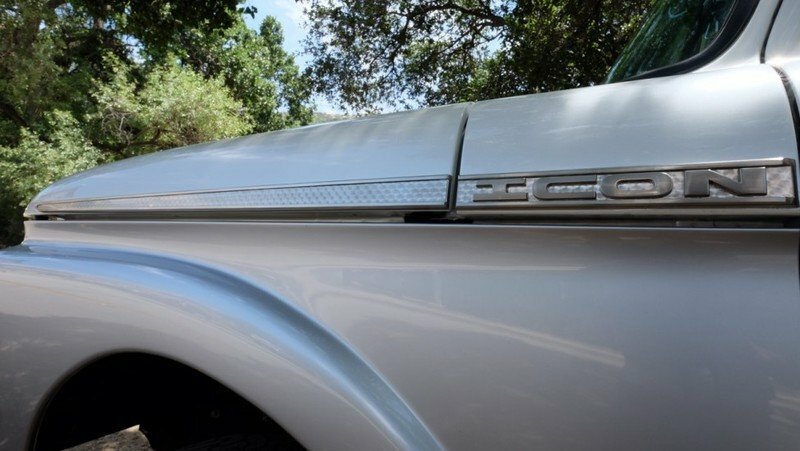 This Ford pickup’s design is strikingly close to the original, but it has plenty of modern touches and everything is slathered in the finest craftsmanship. 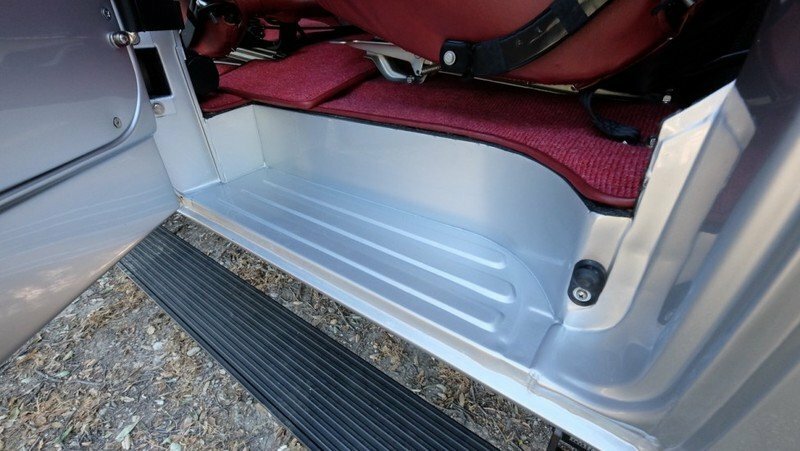 Out back is an original style cargo bed and tailgate. The chrome bumper had to be replicated in-house. Modern features include LED taillights behind the OEM-style lenses. 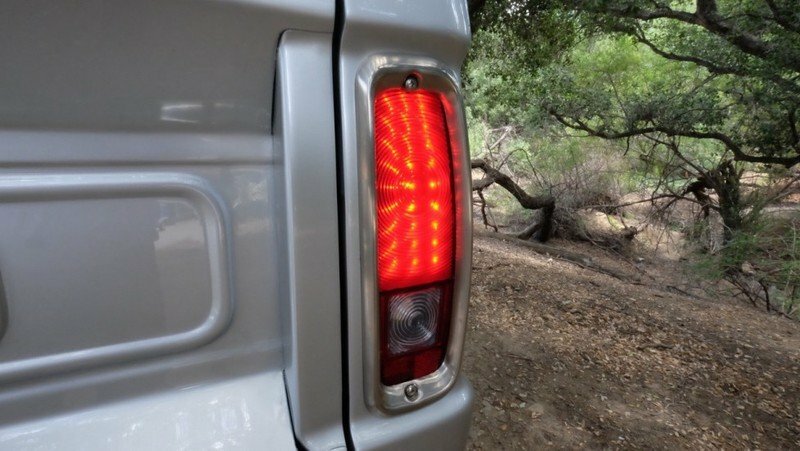 The tailgate also includes a switch that automatically triggers hidden LED lighting inside the cargo bed. A spray-on bedliner adds protection and functionality to the pickup. 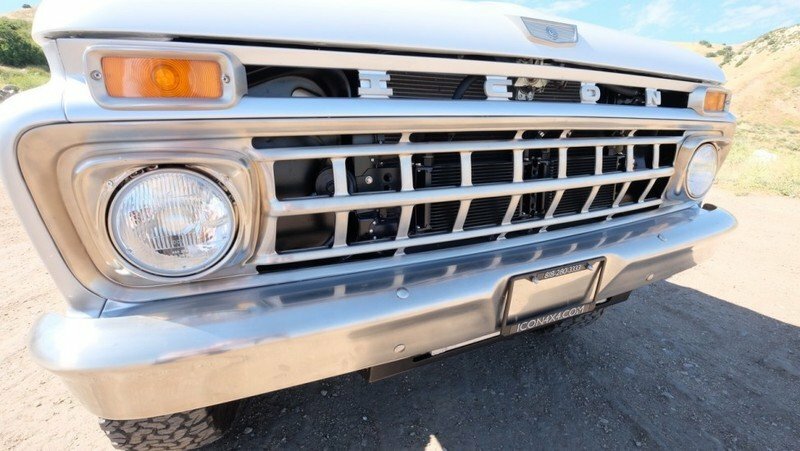 All told, this Ford pickup’s design is strikingly close to the original, but it has plenty of modern touches and everything is slathered in the finest craftsmanship. Nearly every inch has been groomed with high-quality and modern parts that bring a level of durability and style not found in the original truck. Like the exterior, this ICON Reformer project keeps the 1960’s vibe alive and well. 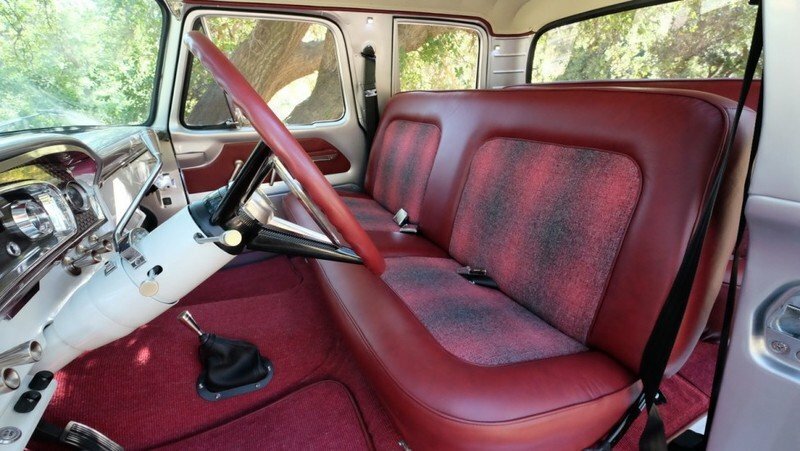 From the low-back bench seats, to the painted metal dash, nothing looks unusual. But, that couldn’t be further from the truth. Nearly every inch has been groomed with high-quality and modern parts that bring a level of durability and style not found in the original truck. For starters, the seats are covered in a red leather and two-tone cloth sources from a company specializing in outdoor furniture. This makes the seats extremely durable. The carpet is new, but retains that high, square-pile look of mid-century vehicles. 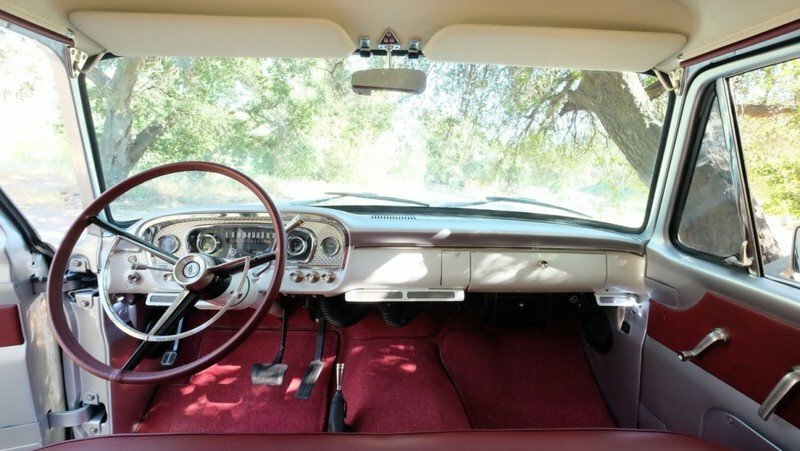 The original dashboard was painted in the same two-tone colors as the exterior, brining consistency throughout the build. 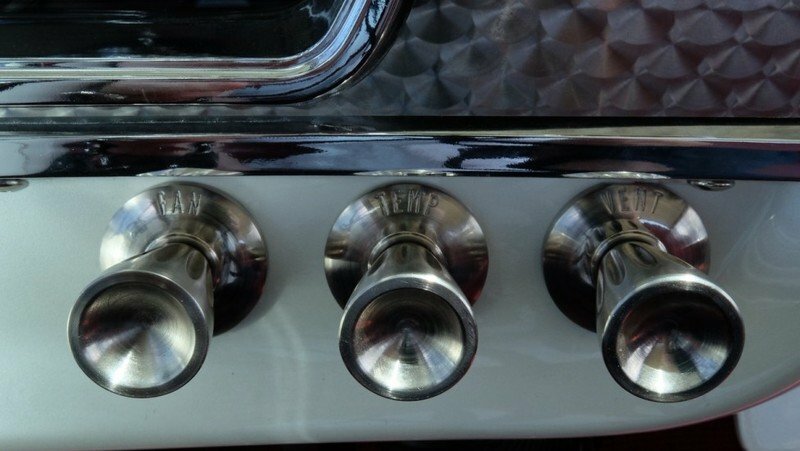 Air vents were manufactured to fit under the dash, fed by a modern HVAC system from Vintage Air. The gauge cluster design is borrowed from another model Ford truck, but retains most of its classic looks. Modern electronics run the gauges and provide all the late-model warning lights needed to accompany the Cummins turbodiesel. Trimming the gauges is a beautiful, turned aluminum that matches the exterior trim. Other details include a period-correct headliner material normally found in a Mustang. The worn-out, plastic switches and pull-tabs on the dash were replicated with aluminum coated in nickel. The truck even features power windows, with the switches cleverly disguised as the manual crank handles. Simply push down to roll the windows down, and the up for up. What’s more, double-tapping the crank handle engages the express down for all four windows. The Ford’s aging C-channel frame and Twin I-Beam front suspension had seen better days, plus the original V-8 needed to go. Of course, the biggest change ICON made to this 1965 Ford F-250 is what lies under the pretty bodywork. The Ford’s aging C-channel frame and Twin I-Beam front suspension had seen better days, plus the original V-8 needed to go. 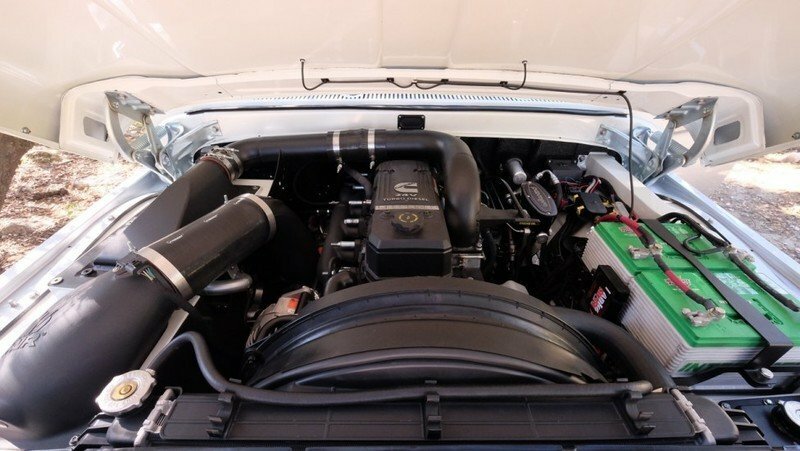 ICON’s customer had a particular affection for the Cummins inline six-cylinder turbodiesel, so the decision was made to do a complete body-swap. 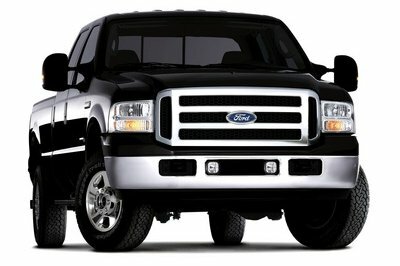 The Ford is now powered by a 2006-model, 5.9-liter Cummins I-6 turbodiesel backed by four-speed automatic transmission. 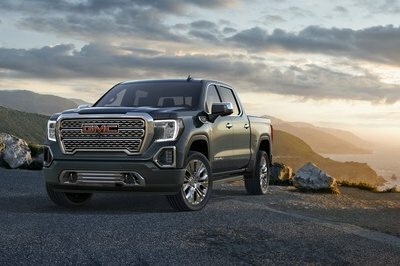 Stock, the Cummins made 325 horsepower and 610 pound-feet of torque, but that wasn’t enough. The Cummins was modified with the Six Gun system from Banks, which is advertised to add 105 horsepower and 258 pound-feet of torque. Banks’ Stainless Steel Exhaust system was also added, along with a custom air-to-water intercooler. ICON swapped the electronically controlled 4WD transfer case for a mechanically operated T-Case from the same era Dodge pickup. 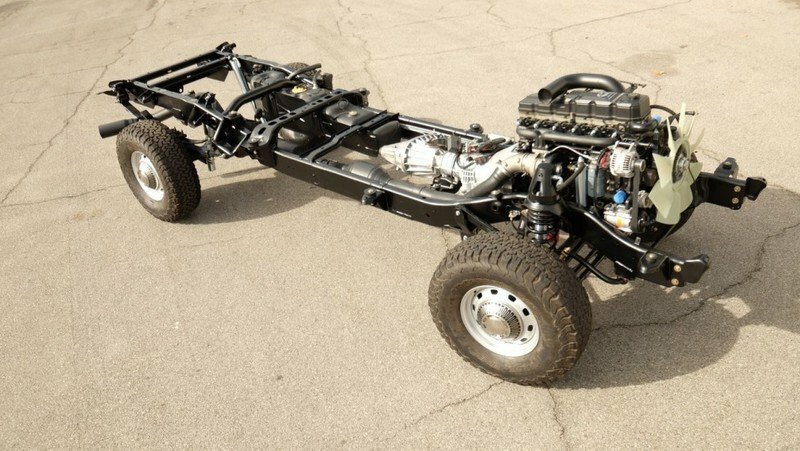 Being an old-school kind of truck, ICON swapped the electronically controlled 4WD transfer case for a mechanically operated T-Case from the same era Dodge pickup. The dog-leg shifter fits perfectly through the Ford’s floor and looks factory. The rear axle was upgraded with a differential cover with cooling fins and the leaf springs were modified to adjust the ride height to level. ICON has turned this truck into both a museum piece and an everyday driver. There is no doubt this truck is one of the cleanest and most meticulously built Ford F-250 Six Pack pickups in existence. Not many were made, and an infinitesimally smaller percentage will ever see this level of restoration. In its usual method, ICON has turned this truck into both a museum piece and an everyday driver. Its owner is said to be a usual ICON customer with several other ICON vehicles in his garage, so there’s no doubt he knows exactly what he was doing when he helped ICON design this one-off rig. And there is no telling what he paid for it, either. ICON’s products usually command six figures. Then again, when an entire company is building a one-off vehicle to a customer’s exacting expectations, it’s easy to see how costs can skyrocket. 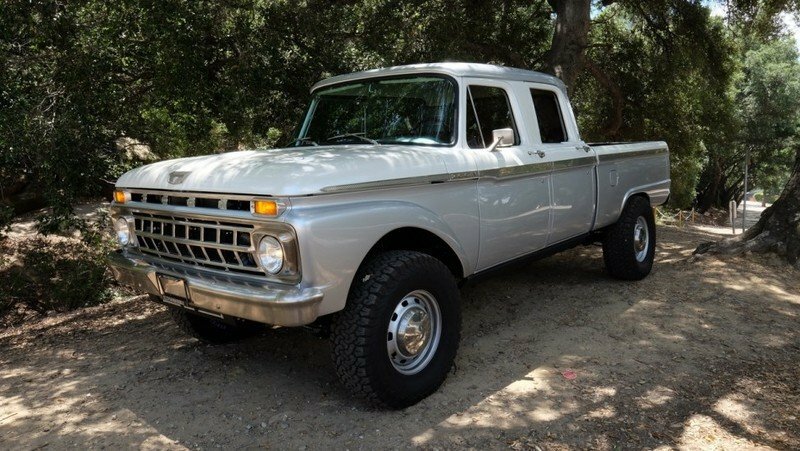 What do you think of the 1965 Ford F-250 Six-Pack by ICON? What vehicle would you have built? Let us know in the comments below.